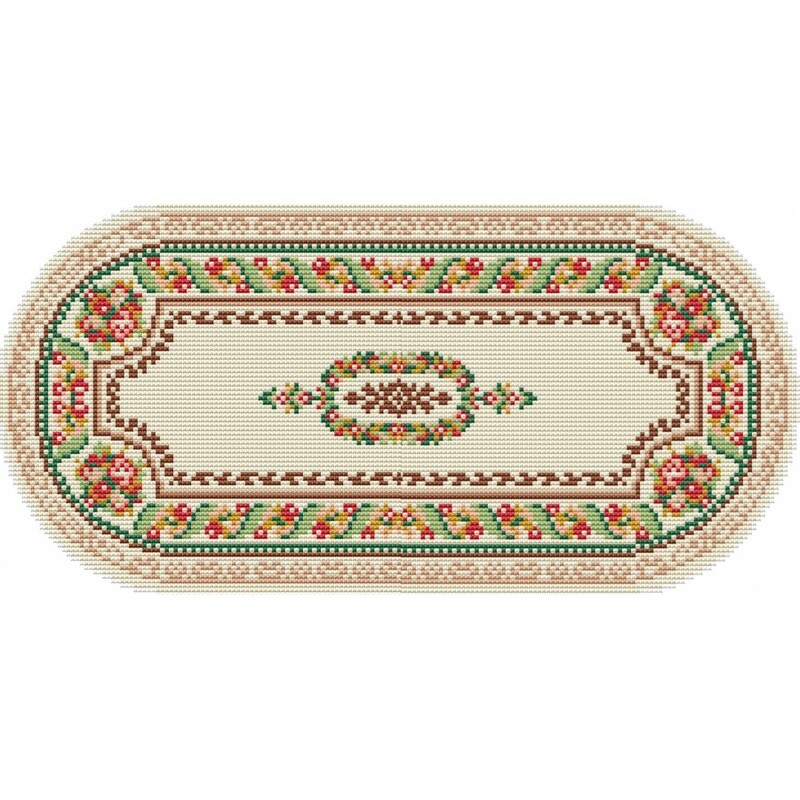 Kamariah latch hook rug kit with chart and plain canvas in Romney rug wool. Size 66cm x 137cm (26in x 54in). 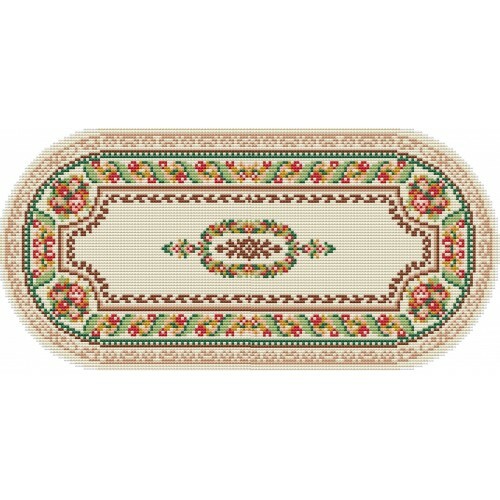 This is an oval rug when completed and the picture is a graphic representation of the finished rug.